Thank you for not being too upset by my last letter. I do hope it didn’t sound like I was being “holier than thou” or “attacking” you. Honestly, if I was attacking anyone it was myself. You’re a patient…not a physician. Over time, I noticed that I could tell when pride was beginning to swell within my heart because I would put myself in the position of a physician. I would look at the world of Christendom, diagnosing all the ills I saw and proudly proclaiming my miracle prescriptions that I just knew would bring healing! How pompous I could be?!?! I looked down my nose at local churches and at pastors in the trenches of ministry…and from the safe, lofty heights of academia I would point out their infected theology and diseased practices. All the while, I was so blind that I could not see I was only being part of the problem…not the solution. I was acting like a physician…yet I was truly a patient. In other words, I was not seeing myself as part of the body of Christ! I was separate somehow. The body was sick, but not me…I was God’s gift to “fix” the body! Ha! We are not physicians, Jesus is! He is the great physician! We are part of the body in need of his healing. The only way I was able to see this was to actually be a part of the body. The Lord convicted me of safely distancing myself from the local church, and I knew I had to plunge in and become a part of it. Jonathan, I would highly encourage you to be an active member of a local congregation. Serve within the body…teach within the body if you can! Teaching should humble you and drive you to your knees as you see your own feebleness/inability and your need for Christ’s sufficiency! Teaching should help you see yourself as a patient in need of Jesus’ miraculous healing work! It becomes very difficult to criticize the church when you see that you are a part of its brokenness. I’m not saying there is no room for critiquing the church (perhaps I’ll write about that later), but I am saying that the posture from which you critique it transforms when you are a member of the body instead of trying to be a master over and against it. 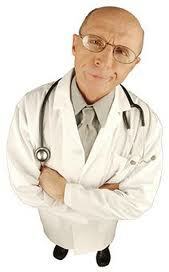 Don’t be an arrogant seminarian who thinks he is the “Doctor” the church needs. There are enough of those. Swallow that bitter pill of pride and remember you are a part of the church that needs healing…you are broken too. *To know/understand the premise behind these letters please click here.